“ After determining that our old piano was beyond repair and trying many pianos Michael McQuilkin showed us a Kawai that we decided would be right for us. It has served us well and is a pleasure to play at every rehearsal and service. 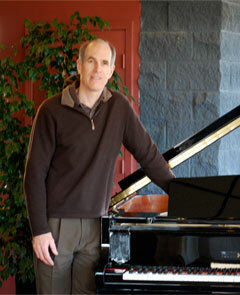 though the last 15 years i have purchased 3 pianos from michael and my friends purchased another 5 pianos from micheal. he is reliable,professional and full of fun. i give my highest recommendation to micheal for pianos. he has also tuned all my pianos thru the years.. he is the tops!